A place where tradition meets modernity, Hotel Casa Panguipulli is the perfect retreat for those seeking respite from the city. 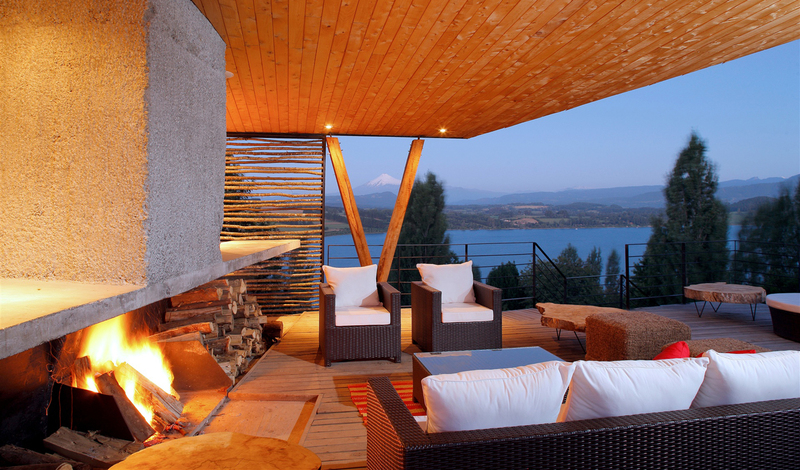 In a spectacular location in the south of Chile with stunning panoramic views of lakes and both Choshuenco and Villarica volcanoes you are guaranteed a breath-taking view from each of the seven rooms that Hotel Casa Panguipulli has to offer. So step inside this outstanding establishment for an exclusive experience filled to the brim with emphatic architecture, unparalleled views and ultimate luxury. Situated only 2.5km from the center of Panguipulli and just over an hour transfer from Valdivia Airport, Hotel Casa Panguipulli provides you with the perfect base for you to explore this magical part of Chile. Owning three of the surrounding acres of the hotel, you will have the opportunity to explore the orchards, fruit trees and small forests dedicated to reading and relaxing and let’s not forget the awe-inspiring views that the location of the hotel provides you with of these expansive lakes and mesmerizing volcanoes. Each of Hotel Casa Panguipulli seven suites has a unique orientation, with expansive windows that provide you with great daylight and moonlight and offers you majestic views of the landscapes that the South of Chile has to offer. With Egyptian cotton sheets and two types of pillow the hotel is a flawless abode for you to return to after a long day of exploring the local area. 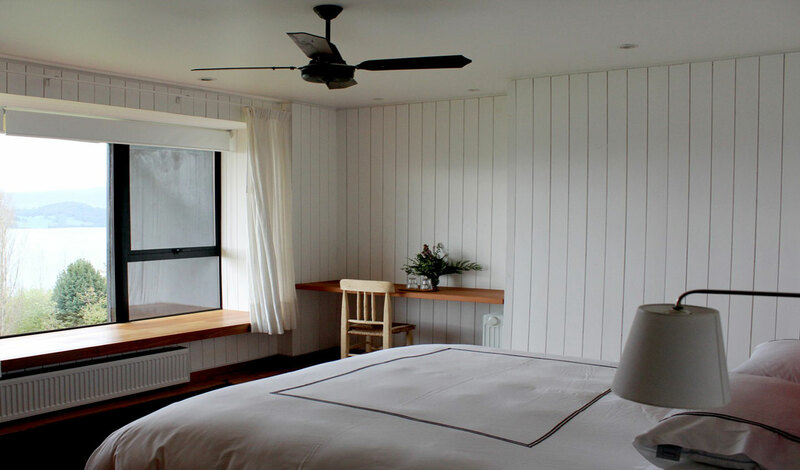 For that added piece of extravagance, the rooms contain hand-woven carpets made by Mapuche hands and rooms with a modern ambiance with a touch of classic details these rooms provide you with a quiet space that seduces and surprises you. The vast wealth of activities that is offered to you by the location of Hotel Casa Panguipulli is why we love this hotel. Located only an hour from one of the most beautiful cities in the South of Chile, we recommend you do a day tour of Valdivia to immerse yourself in the local people and culture of Chile but also closer to home, the opportunity to explore the seven lakes that surround the hotel is not one to miss. As you can see there is clearly no better place to discover the beautiful landscapes and colors of the south of Chile than the lavish Hotel Casa Panguipulli.